When wealthy Kentuckian Charles Buford brought his wife, Lucy Marshall Buford, and their ten children to Rock Island in 1853, he didn’t waste any time. 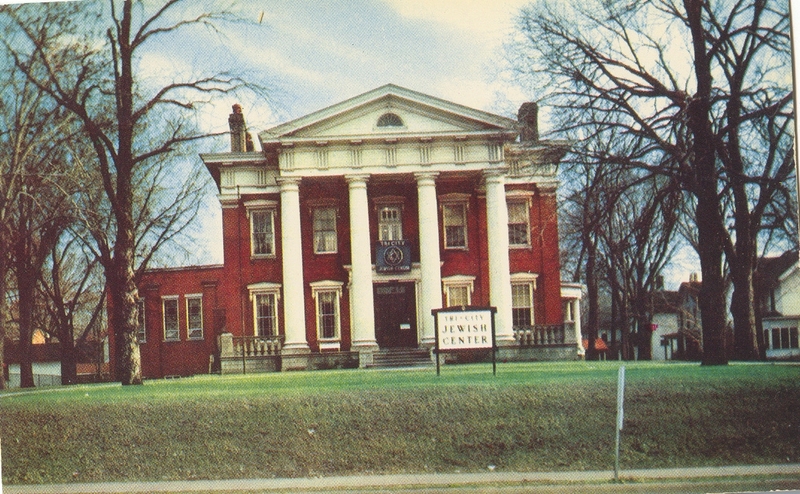 They had come from near Lexington, Kentucky, an area known as the “Athens of the West.” They immediately purchased a large brick home that still stands and is now the rectory of Sacred Heart Church on 5th Avenue near 28th Street. At the same time, Mr. Buford was a founder of a company that became the Rock Island Plow Company. By 1854, he had purchased 10 acres at $1000 an acre and designed and built this magnificent house at a cost reported to be $10,000. It was carefully sited to allow an unobstructed view all the way down 18th Street to the river. The present address is 1804 7th Avenue, but when it was built, the Buford family gave an address of the “head of 18th Street”. The Bufords’ ten acres extended behind them to the south and to the west – the current 18th Street didn’t exist there. 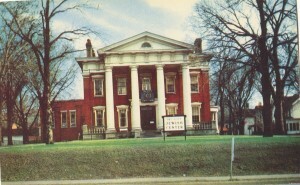 Looking much like an antebellum plantation home, southern roots are early visible in this Greek Revival mansion with its massive brick columns. Prominent out of town visitors were usually invited to stay with the Bufords. Legend has it that a young Abraham Lincoln was one such visitor. Although not verified, it’s hard to imagine that Mr. Lincoln would have turned down an invitation to such an impressive home. Charles Buford was an important man in Rock Island’s history. There is a good account of him and other Buford relatives in The Town Crier (published by The Argus). Charles Buford started the Buford Plow Co., which ultimately, through sales and mergers, became the Case Farm Implement Co. Although Charles Buford died in 1866, his widow, Lucy, remained in the home until the mid 1890s, and then the family rented the home (Imagine the classified ad: “For Rent: Mansion, 18 rooms, 12 bedrooms….…”) One of the renters was Levi McCabe, the founder of L. S. McCabe’s department store. Buford heirs sold the house in 1906 to Elmore Hurst and his wife, the former Harriet Field. A native of Rock Island, Mr. Hurst was an attorney with Jackson, Hurst and Stafford and later became a judge. He was a leader in the Democratic Party and served several terms in the state legislature. Reportedly, he was asked to run for governor in 1908 and 1912. On both occasions he declined. It was generally conceded that Mr. Hurst could have won the 1912 election because he did not have the “factional opposition” that cost former Vice President Adlai E. Stevenson to lose by only 2000 votes. Mr. Hurst was also offered cabinet and ambassadorial positions after the election of 1912 under Woodrow Wilson’s administration. Again, he refused, declining an opportunity for national fame. Obviously he was very well known and respected. His funeral, held in his home on August 23, 1915, was attended by dignitaries from throughout the state. 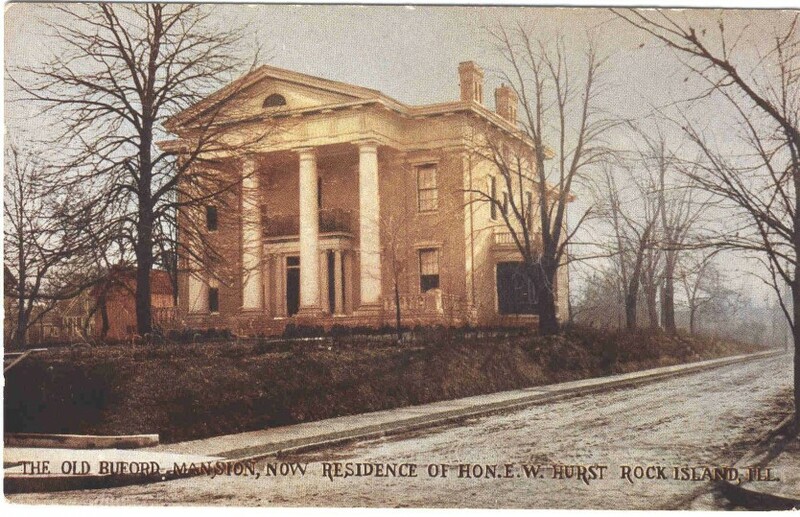 After purchasing the house, the Hursts hired architect George Stauduhar to remodel it to the tune of $20,000 – this in the era when a fine large home could be built for under $5000. It’s not known what the remodeling entailed – possibly such practical things as indoor plumbing, which were not standard in 1854. Mr. Stauduhar may also have added the Palladian style triple window as well as a semicircular porch on the west. The porch was later removed. Interior partitions at the second floor may also have been added at this time. The home was sold again in the late teens to Walter Rosenfield, who was the president of Rock Island Bridge and Iron Works and later became mayor of Rock Island. Walter had lived just across the street in the ornate red brick home that is now part of the Coventry Apartments – but that’s another postcard! In 1928, Arthur Denger, a contractor and realtor, followed Mr. Rosenfield. He sold it in 1936 to the Tri City Jewish Center, who renovated and redecorated. Later, they added the large rear portion, but maintained the original home in pristine condition. Since 1982, it has been the home of the Word of Life Christian Center who continue the 150 year tradition of maintaining this historic house. The featured postcard was published by the Rock Island Post Card Company around 1908 and may have been custom-ordered by the Hurst family. The most unusual feature of the picture is the yellow color of the house. Does this mean its red brick was painted at the time? Probably not. Postcards of the era were based on black and white photos. Color had to be added for the lithographer. It’s very common for such postcards to depict red brick buildings as yellow. Another example of this is the RI Lines depot, which was never painted. Then again, maybe yellow ink was cheaper than red. This article by Diane Oestreich, slightly modified, originally appeared in the Rock Island Argus and Moline Dispatch on May 27, 2001.